Christ is risen! Joyous feast! Sts. 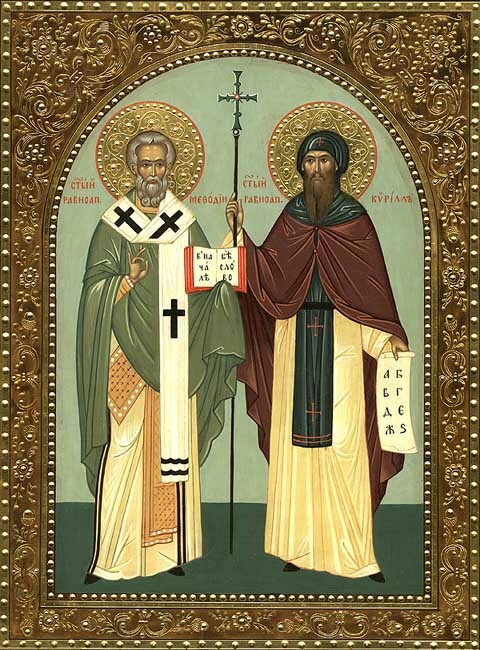 Cyril and Methodius are known as the 'Equals-to-the-Apostles' for their pioneering mission work amongst the Slavs of Moravia, a work which led to the creation of the Cyrillic alphabet and the conversion of all the Slavs scattered throughout Central, Eastern, and Southern Europe to either Orthodoxy or Roman Catholicism. More on their lives and labors can be found here. May their blessings and prayers be with us all!